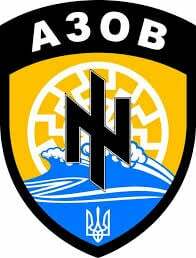 It has just been announced that, starting on April 20th, U.S. troops will start training troops of Ukraine’s Azov Battalion. She wanted to eliminate the voters who had elected Yanukovych, and who were now rejecting the coup-regime, which she was expecting to lead. That’s the type of person, an extreme hater of pro-Russians, whom Obama wanted to be elected by Ukrainians as their President, and for whom the U.S. Embassy in Ukraine had tirelessly tried to get freed from prison — unsuccessfully, until they got Yanukovych overthrown by Tymoshenko’s fellow rabidly anti-Russian nazis, such as the ones whom Obama’s troops will now be training to kill all of the pro-Russians they possibly can. Even the right-wing voters of northwestern Ukraine found her to be too far-right. Instead, America’s most-watched cable-news channel, Fox ‘News,’ interviews their ‘military expert,’ who tells America’s fascists and nazis — which are their audience (it’s called “the Republican Party”) — that America’s policy in Ukraine needs to harden, and that it must be this: “Start killing Russians” until Russia runs out of “body bags.” Imagine if Russia’s most popular ‘news’ medium were to say that the ‘solution’ to the ‘Cuba problem’ is to “Start killing Americans” until America runs out of “body bags.” Shouldn’t Obama have apologized to Russians for that? Shouldn’t he have expressed outrage at it that he did not express? Shouldn’t he have had his FCC investigate Fox ‘News’ Channel, and its controlling owner — the nazi Rupert Murdoch — perhaps to yank their licenses? Why do Americans tolerate such a President as this, one who instead eggs-on such hatred, by his using the word “aggression” 18 times in his “National Security Strategy 2015” and 17 of those times are referring to Russia? How insane is that? He even rubs it in, by saying, repeatedly in speeches, that the U.S. is “the one indispensable nation,” which means that every other nation (including, but not only, Russia) is “dispensable.” Hitler said virtually the same thing about Germany: “Deutschland über alles.” Obama is as similar to that, in his nationalistic outlook, as his good-cop bad-cop partner, Rupert Murdoch, is — and that’s why the yanking of Murdoch’s licenses isn’t even being looked into.